Fish and chip suppers have been given a boost following an announcement by the European Parliament to reform the failing 2004 cod recovery plan. 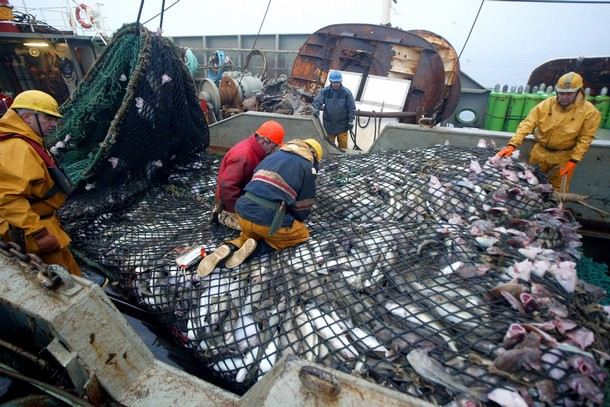 The plan was intended to help boost depleted stocks of white fish, but has been ineffective and had a ruinous effect on the fishing industry. It meant that fishermen were forced to throw back, or discard, tonnes of healthy fish when they were abundant in catches, even though there is significant evidence to suggest climate change, and not over fishing, is the main cause of the problem. "The current system of throwing back or discarding tonnes of healthy fish from abundant stocks, at a time of food shortages, is making the EU part of the problem, not the solution. "Large numbers of our fisherman are being put out of business and there is strong evidence to suggest that global warming is to blame for the current cod shortages, not over fishing. The new proposals will attempt to overcome this by helping both fisherman and member states to implement cod avoidance programs while reducing the amount of perfectly healthy fish our ship are forced to throw back or discard. Yet another example of the EU buggering things up. Elle – none of this will affect fish and chips – the vast majority of the cod used in that is, and has been for many years, imported. EU fleets discarded 350,000,000 haddock back into the sea in 2003 – the vast majority were of an edible size, but not necessarily the best size for the market ! UK fleets accounted for more than half of that. The focus should be on REGENERATION not sustainable exploitation – you cannot sustainably exploit a resource which is below it’s own capacity to regenerate. ex, as in has been, “spert” as in drip under pressure. I too am a Plaice person, but whatever your piscine persuasion I think we should all be glad that one of the daftest pieces of leglislation ever to come out of Strasbourg is starting to drown amongst all the commonsense offerings from various quarters. I personally think we should limit the tonnage on all fishing regardless of species in particular parts of the year to enable breeding stocks to recover and at the same time avoiding wastage.But then i’m not a Marine Biologist or expert on the breeding habits of fish so I’m not really qualified to make pronoucements on this as are 99% of the population…..! The fishing industry has suffered a lot in the last few years. It needs a revival. I mean I’m all for updating regulations on an annual/seasonal if not daily basis. 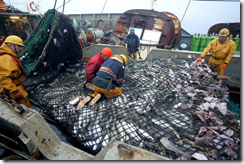 overfishing dwindling stocks does nothing to help. perhaps we should be allowed into their 200 mile ‘territorial’ waters. What da ya think? Cod are easier to catch. I was always a plaice man myself when I lived in the UK. My wife of the day, however, was a cod person. Maybe that was why it didn’t work out, ultimately.